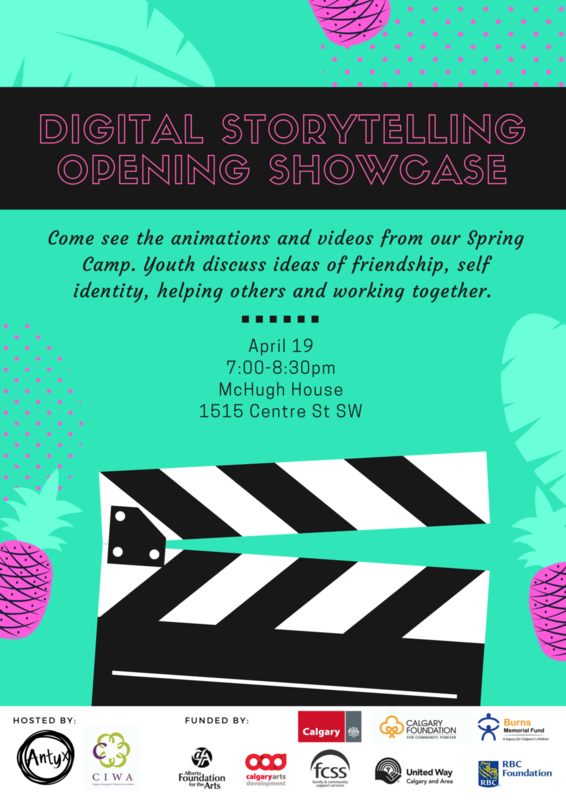 For the past couple of weeks, our youth have been spending their spring break creating exciting animations and videos at the Antyx Digital Storytelling spring camp! Come check out their creations on Thursday, April 19th. It's sure to be a fun night, celebrating the hard work and creativity of these innovative young people.